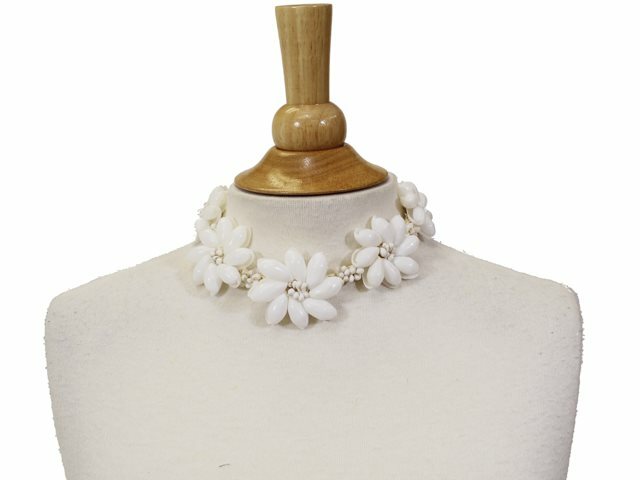 This Tiare Shell Necklace is made with braided raffia, moon shells, and mongo shells. The diameter of the tiare ornament is about 1.5 inches (3.8cm). Beautiful shell necklace! I just love it! very nice, matches dress, it's a bit firm, doesn't adjust very much .... but it worked. this is exactly match with my bracelet. I am shocked and so happy. Always wanted this type of necklace, very good price and quality. Love this necklace!